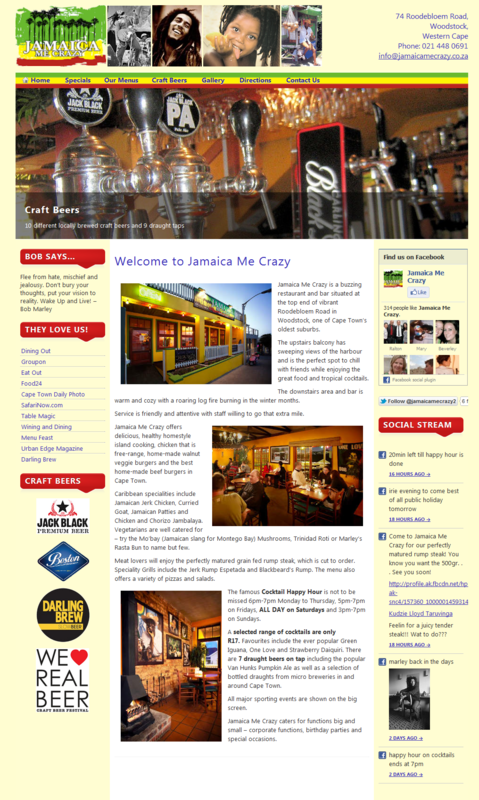 We are delighted to announce another recently launched customer website: Jamaica Me Crazy. Jamaica Me Crazy is a Caribbean buzzing restaurant and bar situated at the top end of vibrant Roodebloem Road in Woodstock, one of Cape Town’s oldest suburbs. This was a challenging website because we had to recreate a grunge feel, a feel of the raw vibrancy of being in the Caribbean – with activity, people, fun and of course Bob Marley!